Emulator fans who want to play PlayStation 3 games on their computer may be familiar with the RPCS3 emulator that has been around for quite some time. The emulator has been updated and now supports high resolution rendering. The emulator can allow you to play favorite PS3 games at much higher resolutions than the PS3 could handle, all the way up to 10K resolution. Gaming at 10K resolution isn't something that we are ready for today, but there are lots of people out there who are ready for 4K gaming and the emulator will handle that. The video below shows side-by-side comparisons of games when ran in 720p, which was the native resolution for the PS3 compared to 4K rendering with 16x anisotropic filtering using the RPCS3 emulator. The folks behind the emulator say that the difference is "quite incredible in titles that have high quality assets." There is one catch for some of your favorite games that have Strict Rendering Mode. Games that require that setting to be enabled can't be played in high-resolutions right now. The RPCS3 team writes, "Rendering a modern PC game in high resolutions such as 4k, while beautiful, is quite taxing on your hardware and there is often a massive hit in performance. However, since most of the workload for RPCS3 is on the CPU and GPU usage is low, there is a lot of untapped performance just waiting to be used. All processing is done CPU side, and as far as the GPU is concerned it is simply rendering 2006 era graphics (yes, the PS3 is 11 years old now). We’re happy to report that anyone with a dedicated graphics card that has Vulkan support can expect identical performance at 4k." Along with the high resolution support, the emulator also added anisotropic filtering (AF) support. 16x AF improves how textured look, especially at angles says the company. 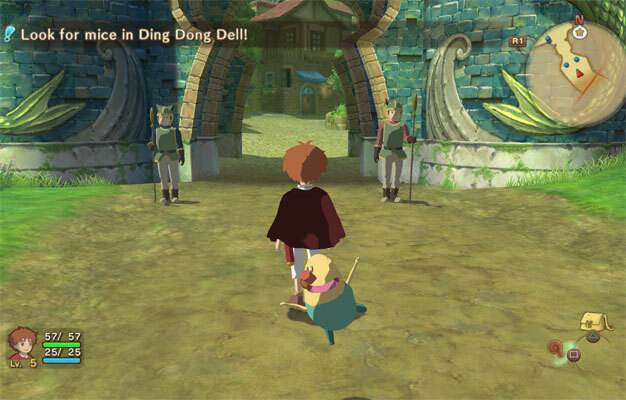 The large image above is from the game "Ni No Kuni" with forced 16x AF enabled. Games can change the resolution and graphics options inside the emulator using new settings in the GPU tab of the software. The recommended setting is to set AF at 16x due to the greatly improved visual quality of games with that setting enabled. The team recommends leaving resolution at 1280 x 720 because most PS3 games think they are running at. The improvement in resolution comes from the Resolution Scale, to hit 4k gamers need to use 300%, 200% gives 2560 x 1440 resolution. The RPCS3 team writes, "High resolution rendering is only the tip of the iceberg when it comes to improving graphics quality. In the future, we will see custom anti-aliasing, texture scaling algorithms, and maybe even game specific patches by the community. Of course, work also continues with improving the emulator accuracy and general performance to enable more games to run, and to run well."